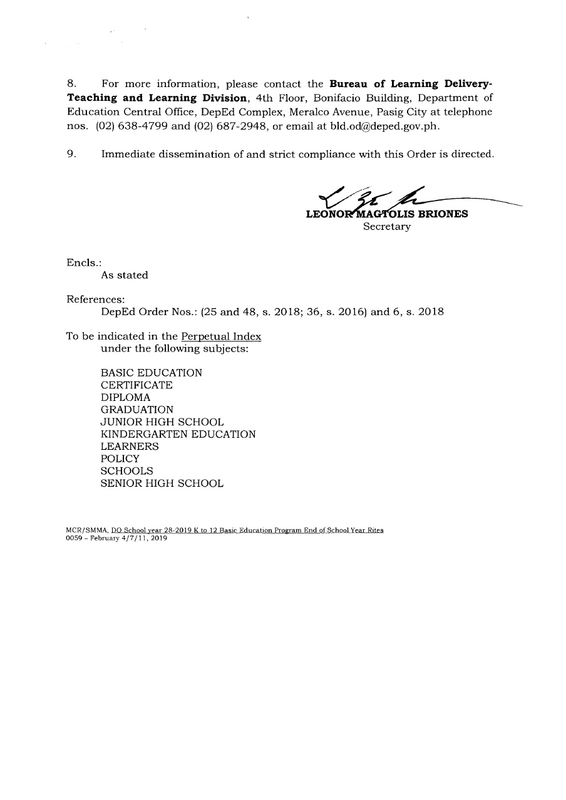 The Department of Education(DepEd) finally clarifies the confusion on the issued order in February 18 DepEd Order 002 of 2019, stating that only those who will finish Grade 12 will be entitled to graduation rites this year. 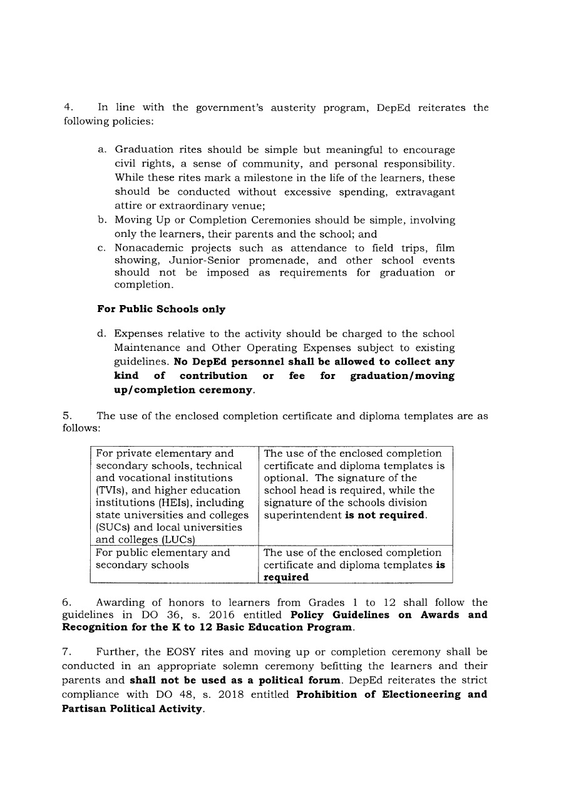 In the latest DepEd Memorandum No. 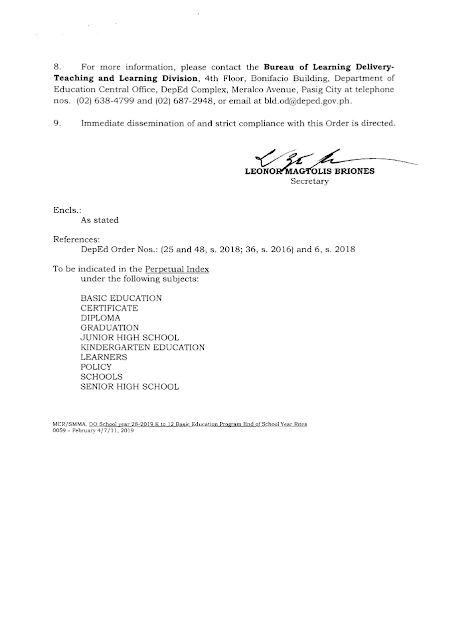 025, s. 2019 dated March 1 said that Grade 6 pupils will still have a Graduation Ceremony this school year 2018-2019. 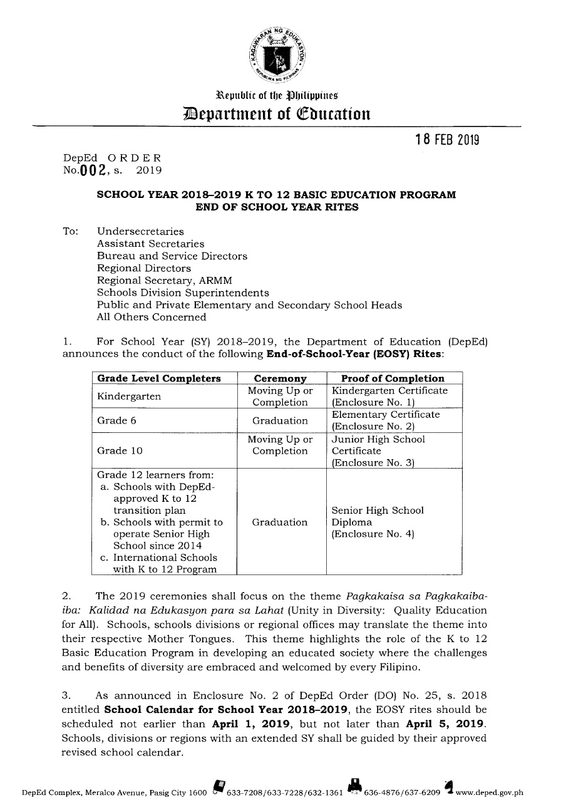 Briones explained that the "moving-up ceremony instead of graduation ceremony for Grade 6 is under discussion"by DepEd's Executive Committee. 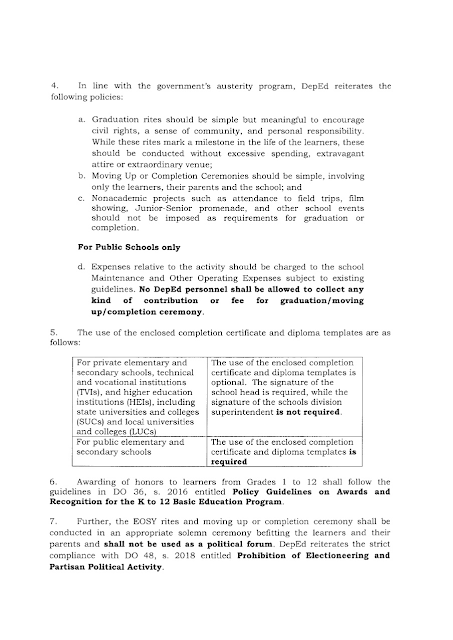 "Should this be approved, DepEd assurede all concerned that this will be announced with sufficient lead time." 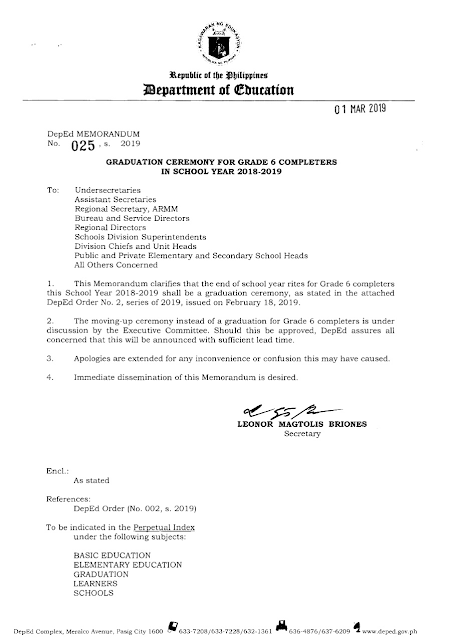 Meanwhile, Briones also apologized for the "inconvenience and confusion" because of the earlier announcement.